Aba Melaku is breaking the law the church in the past and still doing it. We have to do something like Debre Amin Teklhaimanot memen did. Then they will respect it specially when they come here in North America. The way I see it we are protecting our church, in other word it's our country. Let us see if any protestant get any problem in Ethiopia they will be going to their home to Germany and America. If any Catholic got any problem they too will be going to Vatican Rome, so is the Muslim to Meca Medina. However, we the EOTC childern does not have any where we can go, there is no any alternative for us so we have to sacrifice our life to defend from this kind of distruction. May the God our true fathers be with us and our church. I totaly understand what you have said Mr. Anonymous, what ever you may think of me. Am not saying it is my way, however we have been waiting to be resolved by/from our fathers there is no solution. I know we have to pray to the almighty about this problem, but remember we have to do our part in order God to assist us. If you just stand someplace and ask for his help. God is always listen our prayers and send his messangers, do not excpect for God to come help you. You may be the chosen one to help us from this such atrocity. Remember, God did not come him self to save the Israels' from Gibts, but God send Moses to rescue them. If we don't do anything today, think about what is going to happen on to the next generation. At least do your part. Remember, every other faith you see in the wrold, protect eachother except us. For instance, if a muslim killed in Afganistan, a muslim in America will cry and ask why that happens or stand for their fellow muslims. Me as Christan Orthodox Tewahido son, I feel the pain of the people of Hawaasa, they have a right to go to church and pray, however they were bitten up and chased away from the church by the socalled gungs of Abune Fanuel. You don't think I should ask why? Unless you feel that way, you are either a cawerd or you are united with them to distruct our church. If that is you plan. back off! we sons of our Tewahido we don't buy that silly cry anymore and we take action on this kind of so called gangs from. They may seem our fathers by dressed up like us, however they are not us they already told us who they are by their action. So why bother for them. May God protect our church for generation to come. Mr, Anonymous. just read ye Arios tarik..just read it carefully. They did not tell him to back off or anything. they tried to teach him but he didn't accept it so guess who told him to back off? menefese kidus leyew.. 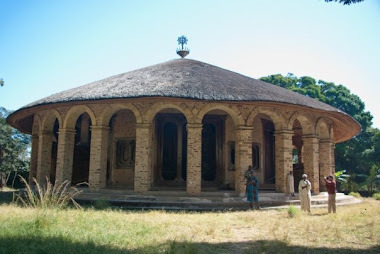 I am with the anonymous commentator who said ..."as Christen Orthodox Tewahido son, I feel the pain of the people of Hawaasa, they have a right to go to church and pray, however they were bitten up and chased away from the church by the so called gangs of Abune Fanuel. You don't think I should ask why? Unless you feel that way, you are either a coward or you are united with them to destruct our church." I further go and say that Aba Fanuel is like Demas who has forsaken St Paul to enjoy life in this world. He has ignored the spiritual mandate that he bought by money like the witch who did try but cursed by St Paul. The only difference is that Demas left the church in pursuit of this world and never engaged in dividing parishners while Aba Fanuel is still in the church and its leadership position while fully engaged to create havoc, division and discord among church goers. Paul exposed Demas and told many Christians how Demas failed. But unlike Demas, Aba Fanuel is using the church to dispense his poisonous message to pit Christians against Christians. There has to be many Pauls to tell Aba Fanuel to stop dividing and cursing Christians. He is truly serving the Devil and not showing any true dedication to the Holy Cross. 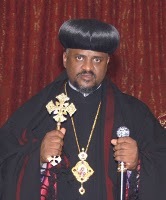 We true Christians should speak and protest people like Aba Fanuel who are coming to our church with deciet, arrogance, and satanic missions like a wolf with a sheep's clothing. After all, is it not Yihuda who helped the other Church leaders like Keyafo arrest Jesus and to crucify him? So we have to question the misdeeds of satanic bishops, priests, deacons and mischievous church servants who are degrading our religion and faith while cursing and harassing many to abandon the House of God. We should speak against priest Eli and his Sons and speak boldly like Peter and Paul who said no to King Nero, like Prophet Daniel who disobeyed Nebukadenezer, like Elijah who refused to obey Elizabel and her husband. We should refuse to buy into Aba Fanuel's distorted and fraud propaganda to promote his narrow interest of cheap popularity, material and financial gains by creating committees and clubs filled with corrupt merchants, ex-military men and retirees who are refusing to step down from their church control and resource stashing. We have to shame Aba Fanuel and other wicked priests inside the church who are acting like Eli and his wicked sons. for the first time in my life i thought about changing my religion. I came to church to learn more about my religion but i learned more about the fights b/n the people and the priests. I used to wait for God to do his job and our parts was to pray. i guess we are the action takers not him. Is this guy a monk or a military officer ? I don't sense any spiritual substance both in his appearance and the content of his speech . abune fanuel malet betam yaweku kemahberekidusan gar gebeta mechawet yemaifeligu yemk.n lekso denta yemaistu be, emnet yestenu talak awaki abat nachew kezih yemaitekim chuhet mk teredto be ersachew mikir ena timhrt bisema yishalewal menor kefelege .